Some scientists ask the questions, others provide the tools to address our 21st-century challenges. Among those challenges for students is the need to achieve academic success and professional development. 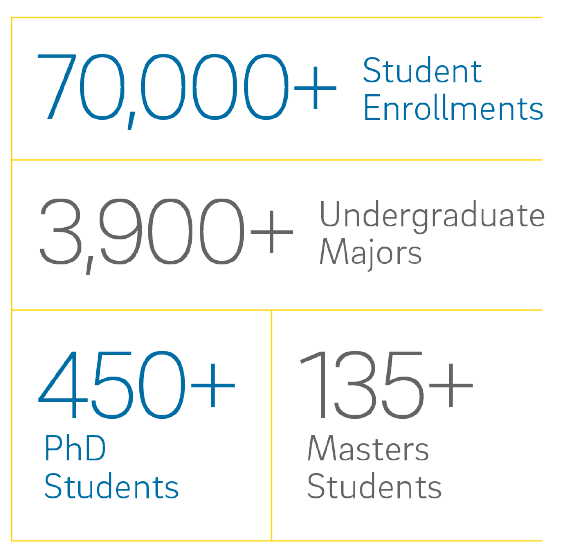 The Division of Physical Sciences is committed to helping students meet this need. With the values of diversity, equity and inclusion as key components in its vision for both undergraduate and graduate students, the division, under the direction of Dean Steven Boggs, is working to facilitate connections between students and alumni, government and industry partners. These valued partnerships are helping to provide opportunities that specifically and inclusively serve the academic and professional development of students majoring in chemistry, mathematics and physics.